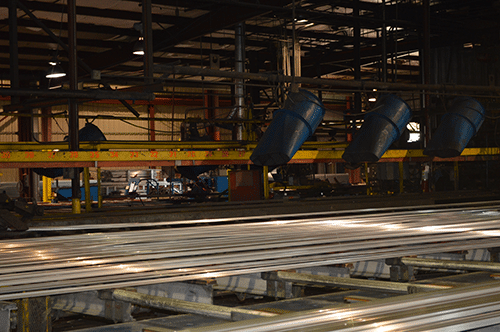 The Aluminum Extrusions, Inc facility is located in Senatobia, MS – a mere 30 miles south of Memphis, TN. 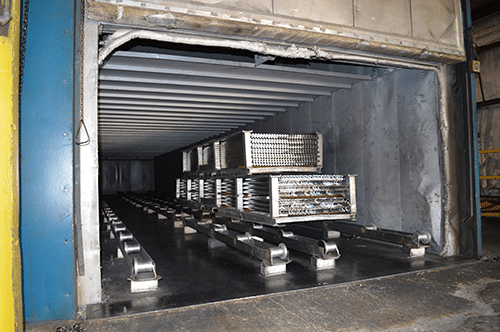 Our facility consists of six departments that focus on different aspects of production. 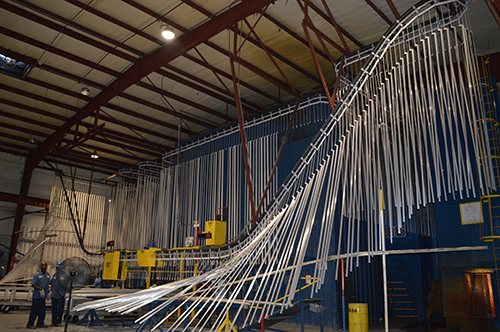 One of the major factors behind the success of AEI in the aluminum extrusion industry is its huge facility that stands out in technology and team experience. 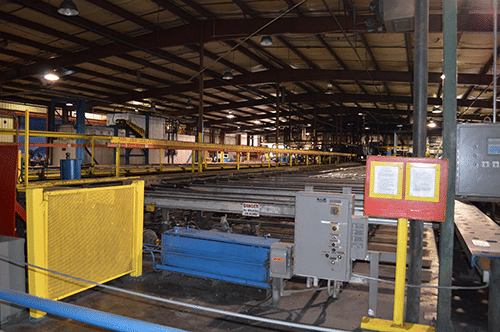 Creating a facility where we are able to set new standards in the industry was one of our core objectives when founding Aluminum Extrusion Inc. However, as experts in the custom extrusions industry, we understand that quality is not guaranteed solely by the presence of technology but through effective utilization of the technology. That is why we have created a process overseen by our highly trained team and managers to ensure quality at every stage. This is the department where the real magic happens. In this department, raw aluminum is turned into high quality extrusions. 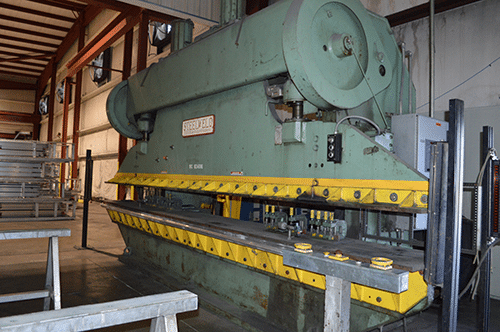 We have three heavy duty hydraulic presses that allow us to meet the most unique and custom extrusions project requirements. The quality of our products is maintained by making sure the technology and equipment we use is working in its most efficient manner. We have a maintenance department where some of the most highly qualified technicians in the industry work together to keep our technology and equipment in their best form. We are proud of our expert team of painters. In our painting department, we use the industry-approved Ransburg Gema electrostatic painting methods. We currently have four vertical booth setups using a polyester enamel. This process allows us to ensure a flawless paint job for your project. When we guarantee quality, we mean not a single product with defect or damage leaves our facility. Our quality control department is there to make sure our claim stays true. All our products, including the tiniest extrusions, goes through inspection to make sure it meets your specifications and our standards. In order to preserve the quality of our extrusions until they reach your door, we make sure the packaging is handled by our own experts who are well trained and diligent. We use a different material for products to ensure maximum safety and preservation. Once packaged, the product is handed over to the shipping department. AEI, with its own transportation fleet, takes the responsibility of delivering your goods to you. That is how we make the whole process quick, simple, and safe. For more information on our facility or to request a visit, get in touch with us today.